Build your own dynasty. 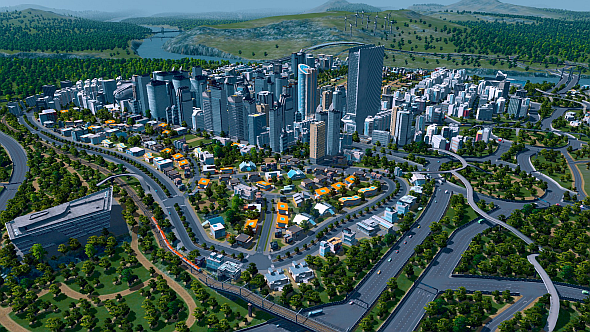 Check out the best Cities: Skylines mods. Wester announced his resignation as CEO in a post on the official Paradox Interactive forum and explained he is moving into the role of executive chairman of the board at Paradox. “They say War Never Changes, but that doesn’t mean those of us who make games about war don’t change over time,” Wester said. “This August I’ll be stepping out of the role of CEO at Paradox Interactive and will be taking up a post as Executive Chairman of the Board. We´re making this change as we believe it is what suits Paradox best. This will be my full-time job; I will continue to work out of the office and hopefully have more time to interact with with all my colleagues and with you. This change will put me in a position where I can focus on the things I love, helping Paradox grow and expand, while handing over responsibility for ongoing operations to a person better suited for the job. Wester founded the Paradox Interactive we know today back in 2003, becoming CEO in 2009. During these 15 years he helped grow the publisher from a seven person studio in Stockholm to an international publisher, creating successful titles such as city building sim Cities: Skylines and space exploration Stellaris. “Usually when CEOs recount their journeys like this, the next step in the story is that they’re moving on, so let me be clear that this is not the case,” Wester explained. “There isn’t a warscore measurable in human numbers that could get me to concede surrender – and there’s so much left I want to do with this company. So, no, I am not stepping down from Paradox. Instead, I am stepping into a role where I can do more of what I do best. However, Wester also wanted to assure fans that his resignation will not affect Paradox’s output in any way, and the publisher will continue to create the games they always have.